As someone tuned into the lateness of the hour and the precipice on which we now sit, I don't always remember that while the world runs to and fro, still there is a widespread awareness - Romans 1:20 - and a widespread sense that something is deeply wrong. The protests in Iran remind me, as J.D. frequently says, that the stage is set and all of this has a shelf life. The tyranny in Iran from the hardline Islamic power mongers won't last forever (link). As a result, the Ezekiel 38-39 stage that is now set won't be here in a short time. This of course supports the discernment that the time of Christ's return is exceedingly soon. The time before his arrival is quickly running out, here 133 days before the 70th anniversary of the country that was reborn in a single day. I spent some time this weekend remembering how much God provided in 2017, in preparing us not to be caught unawares. It is easy to be lulled back to sleep as God's patience waits one more day and the large contractions of last Fall have quieted down, but still I am reminded of what we know, much of which was revealed in 2017. 70 years since November 29th, 1947 when the U.N. paved the way for the rebirth. 50 years have come and gone since the Six-Day War. The deluge of meteors, earthquakes, volcanoes and tsunamis is old news, though few will admit the signs God has been gracious to provide. Mindful of the massive earthquakes, including those in Papua New Guinea and Mexico. Reminded that we were convinced Yellowstone was ready to pop. The sea and the waves roared in 2017. This time in California. Disaster struck in Houston floods (six months after Lady Gaga's Super Bowl performance), Puerto Rico Hurricane, Puerto Rico default, and California fire (six months after Beyonce's Grammy performance that was mocking Revelation 12). The fulfillment of Hosea 4:3 continued with more fish, birds and acquatic mammal mass deaths, including 650 pilot wales. Iran publicly violated their arms deal and is of course actively working in Syria. Turkey's Erdogan solidified power and became an unstoppable dictator. 70 nations met in France to speak with one voice in condemning Israel. In 2017, Olive Trees were restored to the Mount of Olives and jewels belonging to the high priest were found and restored. In addition, the Delek Corporation built a synagogue underground, within the walls of the Temple Mount. Perhaps a new temple will be added in the coming days. The Ezekiel 38 stage could not be any more set. Rosh, Meschach, Persia are all there, armed and ready. The bones of Jonah were found in Mosul, as a reminder of God's warning to Israel's enemy. Israel attacked Damascus - repeatedly. In London a gay rights parade with the Gog and Magog rebellion banner was held. North Korea threats were in the news frequently. The DJIA precipice is as prepped for collapse as I can imagine. In the USA and around the world there continues to be massive out-of-control-unmanageable-disaster-inducing spending and debt. We voted ourselves a tax cut - oh well what can it hurt - we're leaving. Kushner is working on the deal. Under tremendous pressure, Abbas declared Hamas must acknowledge Israel. Saudi Arabia is waking up and underwent generational regime change. Massive cyber attacks and the rapid growth of Bitcoin helped the world inch closer to the mark of the beast. Mass shootings in San Antonio, London and Las Vegas, among others, as God's morality is supplanted by humanity's self-imposed darkness. Trump announced the movement of the embassy and I heard conversation among some who were so excited in Israel that their hopes of a third temple were restored. As has been widely said (Don Stewart comes to mind), when you see change in Israel the hour hand is moving, and when you hear of activity in Jerusalem the minute hand is moving, but when you hear of change on the Temple Mount, know this is the second hand. The tragic shooting of the IDF soldiers at the Temple Mount, the take over by Israeli forces and the ability for Israelis to worship unhindered at the Temple Mount happened in July... and now the very late second hand ran forward, as we held our breath. Venezuela continues her sad implosion. And of course the biggest news had to do with Revelation 12 Sign and the Great American Eclipse. Daniel Matson and others discovered and shared incredible day count and number patterns like 2520, 444, 70, 1260, 1290, 33, 7, 726 (harpazo), 1081, 31, 777, pi and many others as we became aware that we were in the very last moments and the final alignment and convergence of signs were underway. Through Scottie and others we learned that the child in Revelation 12 is the church. We talked about Micah 5. We talked about Jupiter, Jupiter's newly discovered crown, Virgo and the conception. We were amazed to learn how the birth tied in with the Blood Moon Tetrad of 2014-2015. We could write pages on this one bullet alone. As I sit with my annual New Year's resolution list and awaken from the holiday feasting, I am reminded that the hour is very late, the opportunity to share the greatest story ever told is fast waning and the need to be urgent and diligent has never been greater. I'm also reminded that Mary and Joseph sat quietly in Bethlehem for some time until they were suddenly snatched away in the night to flee to Egypt. We are about to flee in the night and Jerusalem will flee 3 1/2 years later at the AOD. I generally hold to the crucifixion on Friday April 3rd, 33 AD. If true (and there is much debate), this would put his ascension 40 days after Sunday April 5th, 33 AD on Thursday, May 14th, 33 AD. May 14th is a very round number and in 2018 happens to be Israel's 70th anniversary. Whoa.... Fear mongering much? So the attempted 2017 date setting came and went so now for sure let's say it's 2018 and when I read that you follow Scottie Clark that did it it for me. Despite the evident chaos that is this world I'm done with predictions and with that I'll just stick to the "no man knows the day or hour". It may just be my flesh but this site gives me a lot of anxiety which I know God doesn't give a spirit of fear but of sound mind. But in all honesty I just feel like everyone is in such urgency to leave and I get it this world is awful but there's so much that we can still do while we wait. This particular article to me sounds as if there's no hope for humanity and that's a wrap folks. I'll probably get deleted like others who have gone before me or called a scoffer or a lukewarm Christian but I'm just speaking out on what's on my heart. Maybe I just need to quit visiting this site and just live my life for Christ dependent on him and his word and not a website. God bless! Unknown - well, it is easy to rely on human flesh whether it is family, a friend, church members, acquaintances or a cyber connection of some kind. It is hard to keep oneself dependent on Christ alone, His Word and reliance and submission to His Holy Spirit. For me, being on this site helps me to do this or attempt to strive toward this. Because I have an interest in the end times bible prophecy issues, I come to this site. It helps me to keep an open mind, to learn new things. To consider them. To take what I agree with and at times let things go that I disagree with or don't understand at this time or need to set aside for whatever the reasons may be. More so, it is uplifting to be in the company of like-minded believers. So, it is difficult to have others to be downright critical and practically condemning in their words and the tone and the judgements in the manner they speak. Because it hurts. It takes away my joy in Watching for the Blessed Hope! Because I want to love His appearance. We are to long for His appearance. To be waiting, to be alert. As we look up, to see the world around us, to see bible prophecy being fulfilled before our eyes! Which causes us - to look up. For Jesus. Our Savior, Our Lord. Oh, the mercy and grace he sheds on us. I don't understand why someone who says something contrary seems to think their post will be deleted. It is the person who consistently is combative and creates dissension continually. To me it is a person who is forcefully trying to have their viewpoint become truth for everyone else in such a combative, argumentative stance. Maybe revisiting Luke 12:56 would be beneficial. Only to Fear is God above and If your scared then you should be But For the True Church which Yeoshua Is the Source of we await a Wedding Banquet and Have Chambers to be in. He has made for us, If your scared Get in the Word Repent of your wicked ways while God has aparantly given us alittle repreave and Sin no more. Read your Bible. This is The Best News possible and You call it fear? Ha You bettter be scared! But for me and My household We Serve the LORD and know Our Destiny with all assurance! @Unknown, 1 Thessalonians 5:18-25 says: “Do not quench the Spirit. Do not treat prophecies with contempt. but test them all; hold on to what is good, reject every kind of evil. May God himself, the God of peace, sanctify you through and through. May your whole spirit, soul and body be kept blameless at the coming of our Lord Jesus Christ. The one who calls you is faithful, and he will do it.” I think this is an instruction for us all and for all times. Anxiety isn't necessarily a negative thing. It's all in your perspective. You can be anxious about an upcoming birthday party, but that doesn't mean you're fearful of it. Am I anxious for the Lord's return? You bet. Am I fearful? Perhaps, but not as much as I am hopeful. 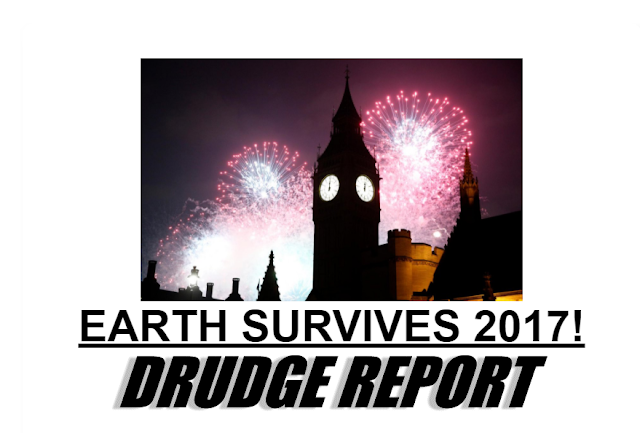 Certainly the Lord's return will be during a period of great global stress. Wars, rumors of wars, earthquakes, pestilence, death on an unheard of scale etc. will and do blanket the media coverage of events. Nothing sells like death and destruction. Don't allow yourself to concentrate on those negative aspects. Instead, prayerfully come before the Lord with all of your concerns and the Spirit will ease your heart. 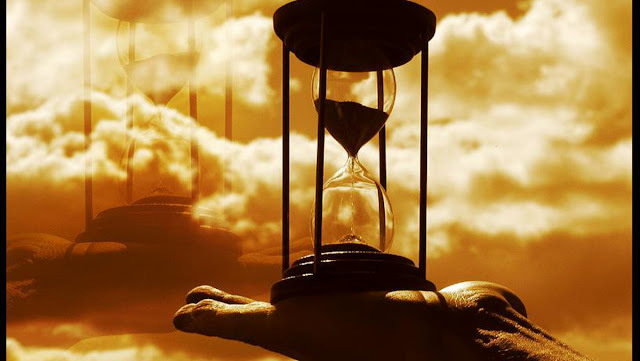 No man knows the day or the hour is not the same as knowing the month or the year...the Bible commands us to watch and be sober, and the Bible gives us clues such as listing all the years everyone has lived, starting from Adam. Why would God put down how long each person lived, if He didnt want us to take a look at the numbers? And even if we don't look at dates, look at the times we live in. The HOLY Spirit has shown MANY the season we live in, the things to come, and to be ready. There is an urgency in our spirit, which encourages and brings us closer to the Lord, and even the rapture. Be ready, don't lose hope, don't lose your focus. Jesus is coming sooner than we think. Amen. Great summary. Indeed we are on the precipice. Time to look up. Awesome post Greg... Thank you for everything. Shared. Beautiful words, Sherry... "Give us the courage to listen to the still small voice of the Holy Spirit to "go in this way" and the wisdom to make certain the direction aligns with your Word." Perfectly said. Sherry, Another one for my nightstand. Your words encourage. Praying with you. Amen. Beautiful Sherry and thank you for a fantastic prayer I can pray. I especially like your sentence "Give us the wisdom Lord to reexamine every area of our own lives and weed out anything which is not of you." Amen and God Bless you. In a speech in Cape Town in June 1966, Robert Kennedy said: "There is a Chinese curse which says 'May he live in interesting times.' Like it or not we live in interesting times. They are times of danger and uncertainty; but they are also more open to the creative energy of men than any other time in history." God has chosen each and everyone of us to live in the most interesting time, in history, to have ever occurred. May he keep us united and our faith strong until the end. Hey unknown, I don't think the majority of us that visit this site or Rev 12 blog has a spirit of fear or anxiety just a longing to be with our savior - Jesus - he was and is the hope for humanity sent 2,000 years ago as a babe in a manger but the majority of the world refuses to accept him and live for him that's why we have the sin, evil, turmoil, disasters etc as you should well know. And as you should know also there was a time limit to our being here G-d made that also quiet clear in his holy word. The devil would have us believe that no matter how bad things get we still have plenty of time- please don't fall for that. And lastly, this world has NOTHING to offer me, I don't want to stay here I want to be with Jesus-my savior and I won't apologize for that. I agree with you Donna, great thoughts. Yep. No fear or anxiety-mongering here. More like a few folks eager to meet the Lord who have been given, not a spirit of anxiety, but one of power, love, and a sound mind (2 Tim. 1:7). Greg, regarding the Iran unrests please note that this nation was last on the US 2002 list to overthrow its government according to the former Gen. Wesley Clark (the same 7 countries are on the refugee-ban list of Donald Trump today). As well, Iran is (together with Cuba and North Korea) one of the last 3 countries without a central bank controlled by Rothschild since 2011. Ring a bell? So whos the 'bad guy' and who are the 'good ones' here? Hmmm... Let me put 2+2 together... Basic arithmetic operations anyone? ;) MARANATHA! dear unknown, please stay in the Word of God and abide in Jesus; sometimes we rely too heavily on all the sites and youtube videos and become weary and disappointed. keep spreading the Good News to all those God places in your path and keep your lamp burning; stay strong by knowing His Word and praying for all. Jesus is coming soon and others need to see our light and hope. Maranatha! I have one issue when I see someone say that this world has NOTHING to offer. If God has blessed another day, food, light and beauty to behold then to say all of that is nothing is fairly unappreciative of what God has given. Thank you my sentiments exactly. I don't love the world but I love people I do life with that yes are in the world. To be able to love , love and breathe another day when many others don't is a miracle so let's praise him for another day. We should glorify him in all things! Hi Steve. Thank you and I have always wondered about and have always been confused by this particular verse. I hope that you or someone else here can help me understand. I have always loved nature and what God created. On my ranch this week I thanked God for the beauty of His creation and all the animals and nature surrounding me. When I'm in this 'mode' so to speak I am near tears at the beauty that I am surrounded by, all created by God. I often ask Him for forgiveness for feeling this way because of 2 John but I hope and pray that because I love what He created and not what man created, it's alright but I honestly don't know. I would greatly appreciate any insight to this. Thank you and God Bless. I'm going to chime in here. Keep blessing our God and Creator for all that He has made, even if it has been temporarily subjected to corruption (c.f. Rom. 8:18-25). When the apostle John uses the term "world" (Grk. kosmos), he is usually referring to Satan's kingdom, or a fallen "world system" that is opposed to the kingdom of God (c.f. Jn. 14:30). 1 John 2:15-17 is not referring to the physical creation with its inherent beauty and testimony of God's handiwork. John, here, is saying that we should not love the Satanic world system/philosophy with its threefold evils: 1) lust of the flesh 2) lust of the eyes 3) and pride of a lifestyle independent of the LORD God. Hope this helps to eliminate some confusion! Thanks Jeff for that explanation - yes you are totally right! You can look up verses in KJV or NASB - then click "Strong's" and a link appears beside each word and you can look every single word up in the original language, and it all makes sense! For example and in addition to what Jeff said above, the word "love" is agapeo which means to love like God loves - we are not to love the fallen world system unconditionally. So it is ok to enjoy the things that God has created for us to enjoy, but our hearts must not be attached to the things in this corrupt world system - like Jeff said. God bless - thanks also to Jeff for chiming in! Michael, very good question on this point which could well confuse. The heavens declare the Glory of G-d, we are told (Ps 19), and the heavens are in the creation, i.e. 'world', so is it sinful to appreciate/admire them? The earth, itself, depending upon the model you hold (Annabel), hangs in those same declarative heavens so everything on the earth which tells of the Handwork of our Lord does the same, and, as noted in your post, begs the same question. To unpack this, you need to recall that there are TWO spirits at work in the 'world' (Rom 7). The 'world' is a place/construct/state where The Lord allows and is working out the fates of beings high and low, angels and men, for Him and against Him. While the Glory of our Lord can be discerned and is present IN the 'world', that same Glory is not OF the world, see the difference? So, the 'world' is that place/time where the illusion of something being 'apart' from the Will of the Father is worked out. In this verse, the 'world' speaks of that aspect of the creation which is APART from, not submitted to the Sovereignty of Abba and which is puffed up of itself, finding itself worthy to be it's own 'god'. For insight, consider as Strong's tells us, the Greek word for 'world' here is kosmo, from where we get "Cosmos". Strong's informs us that the word implies not only "the world" but also "order". In other words, it also refers to the world(ly) SYSTEM/ORDER. Any being which loves THAT worldly spirit/system, which exalts self above all else, has not the Spirit of our Lord in them. Hope this helps and please keep praising our Abba for His Creation, which He Blesses us with daily! Maranatha! Thank you all very much for taking the time to provide thoughtful insight, answers and also resources such as Strong's in addressing my question. I never knew something like Strong's existed and it will help me more thoroughly understand God's Word. What y'all have provided makes this verse much clearer for me and now makes much more sense. I've learned an incredible amount on this site and am thankful to Gary and Jeff for expending the tremendous effort it us take to keep this site going, as well as the many other people here who regularly take their time to provide insight and thereby help those like me to understand God's Word a lot better. Thank you again and God Bless. Amen! We are still right there, at the door! No doubt God has shown incredible signs everywhere for quite awhile now, nobody really has an excuse, anywhere. He truly wants nobody to perish and all to repent and turn to Jesus, but people are stuck in the ways of the world and in sin and rebel against the Most High. Strengthen ye the weak hands, and confirm the feeble knees. Say to them that are of a fearful heart, Be strong, fear not: behold, your God will come with vengeance, even God with a recompence; he will come and save you. Then the eyes of the blind shall be opened, and the ears of the deaf shall be unstopped. Thank you so much for this article. What a great outline and summary of 2017 converging prophectic fulfillment! Your web site and a few others have done a consistent marvelous job of preaching the Word and the SOON return of Christ, again we give praise to God for sending us such a faithful group of dedicated WATCHMEN!!! I keep asking God for understanding. He has used many of you to lead me to things I hadn't considered. I go back to His word after reading your comments and it is always an Ah Ha moment. Satan is hard at work because he knows his days are very few. I am deeply grateful that Iwas allowed to find this site. I'm having trouble with something in regard to this timeline. Okay, let's say that instead of using the Gregorian calendar we use the Jewish religious calendar and begin our year on Nisan 1. If you date all of the key events; 1897, 1967, 1947, 1948 using this calendar then they all fit and we are still (until Nisan 1) living in one of these key dates. Jubilee is declared on the tenth day of the seventh month or Yom Kipur and the Jubilee year than starts the next year on Nisan 1. This is what I'm going by. Question is this: As much as I want to believe these year counts I can't convince myself that the rapture (I believe in a pre-trib rapture of all believers sealed with the Holy Spirit), is this next key event. Perhaps Trump endorsing Jerusalem as capital was the key event in the calendar. I see that Ezekiel 38 looks all ready to explode and of course Isaiah 17 as well. Thoughts? Ideas? One thing I've been thinking about is this: The eclipse that occurred on 8/21/17 will be seen again to make an "X" across the U.S. in 2024. Perhaps the U.S. has seven years of prosperity (due to us siding with Israel) and then with the "X", it's our judgement, hence the rapture. If Christ returns seven years after this date it would be 2031, a date that is 2000 years exactly from when many believe he was crucified, 31AD. Thoughts?? Thanks, I'm just jittery waiting and watching I guess. John C., I have a couple thoughts. 1st, a pattern of 7 good years followed by 7 bad is not Biblically unprecedented and I appreciate your using the Hebrew (Lord's) calendar to work out His timing, appropriate. One problem springs up is that in this model the 1st eclipse harbingers a blessing and he 2nd a curse/ judgement? I cannot reconcile a sign reserved for Judgement to foretell blessings as the lack of symbolic continuity is unacceptable. 2nd, while it appears our Lord is perhaps working some things out here with the Big D and events in our nation/world which can renew some hope, the idea that this carries forward another SIX YEARS? With the TPTB clearly scrambling to usher in chaos (NKO, and so much more)? Fugetaboudit! Maranatha! Jimboni, I tend to agree with your thoughts and I needed to be reminded that there is NO precedent for a total eclipse being a harbinger of GOOD tidings. It's good to research/discuss/anticipate these things as I believe (and read in His Word) that there is a special blessing for those who eagerly await his appearing. I'm so glad I have a place to discuss this - everyone here is asleep! I would agree with the Aug 21 2017 first event resulting in judgement. However america did have 40 days to repent and if they did God would have brought good - of course 40 days after the first event came the hurricanes immediately. I'm sure this has been covered somewhere but 7 years later in 2024 the second event/eclipse will make the X which makes the Hebrew letter "tav" which means "sign"! Where can I read more about the bones of Jonah that was found?? Didn’t know about that!!! Great summary! It's exciting to watch with open eyes the announcement of Yahshua's return. Awe inspiring, actually.